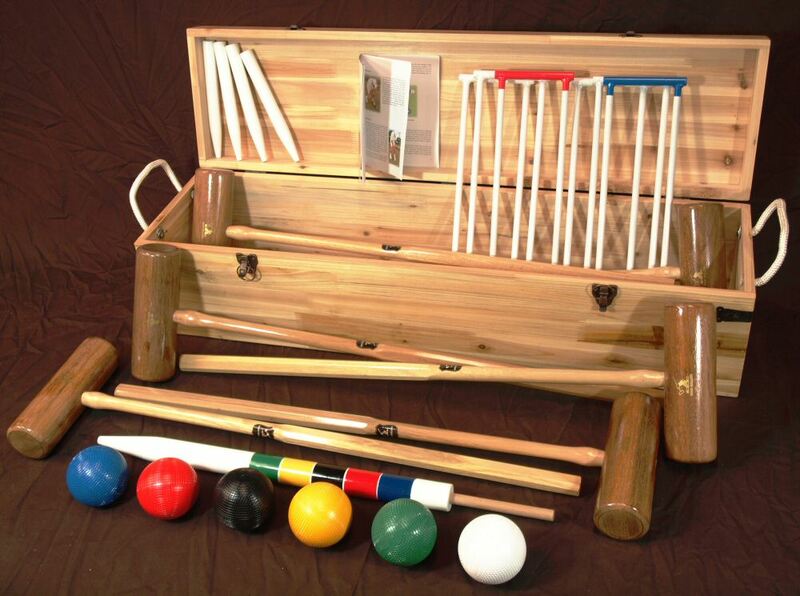 The Garden croquet set for 6 Players is ideal for home garden croquet with regulation sized balls and hoops. Although the mallets do not include the brass rings or sighting lines provided with the Hurlingham set, they are made from the same timber. The Garden Set mallets have an overall length of 36” and an average weight of 2lb.14oz. Full-size croquet set in a traditional solid wooden storage box. This set is supplied with George Wood Garden mallets. This is probably the best value full-sized boxed set available and is ideal for family use. Includes 6 hardwood mallets with octagonal ash handles, regulation size and weight 16oz balls, steel hoops, corner pegs, wooden winning post and rules. Packed in a high quality solid wooden box with latches and rope handles. An excellent set, designed to provide years of family fun. George Wood croquet sets represent excellent value - these are not only high-quality croquet sets, they are also very reasonably priced. 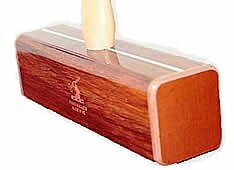 George Wood, based in New Zealand, are the largest manufacturer of croquet equipment in the Southern Hemisphere (also, the world's leading manufacturer of composite polo mallets!). 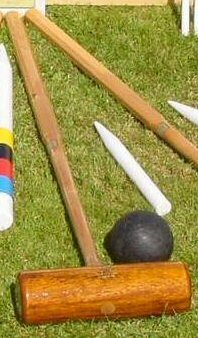 George Wood croquet is known well within croquet cirlces. To give you an idea of their stature in the world of croquet, their "Croquet Association" croquet set below is the officially-endorsed croquet set developed with, and recommended by, the Croquet Association - the UK national governing body for the sport. Therefore, anyone considering buying a croquet set should take a serious look at this range. Usually sent to UK, European & USA mainland addresses on a 4-5 day courrier service. When you input your address details, you can also add special delivery instructions. In any case, we email you your tracking details, so you will know when delivery will be attempted.